Sarees are the quintessential piece of clothing that defines the beauty of every woman. Since time immemorial saree has been the love of every woman and over the time this timeless piece has now become special occasion wear. But it is time that saree got back into the mainstream and entered the power dressing category. Yes working women, start draping saree to your work and we bet you will not only bring a powerful, yet feminine look but even motivate your colleagues to try them for work. Draping a saree can be quite challenging, but once you have mastered it, we bet you would get hooked on buying sarees. So let’s help you in picking the right saree that is flawless for your work. The list had to begin with cotton saree. Cotton saree give a prim look that is just perfect for the sultry summers. They drape perfectly around your body and look modest for the work environment. You can pick Bengal cotton, handloom saree and you are set to bring a powerful look in your crisp drapes. Team your saree with Chinese collar blouse and high heels. Accessorize your outfit with subtle bling jewelry and you are good to go. Tip: Pick pastel shade cotton sarees with subtle prints. Balance the feminine and powerful look with crepe saree that will enhance your workwear look. They are easy to maintain and just made for women who are newbies in wearing saree. You can pick pastel shade saree and add a charm with quarter length blouse and high ponytail which will give a complete office look. 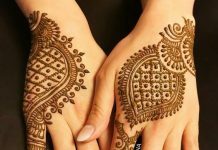 Make sure to wear comfortable sandals with saree. Never wear fancy saree to your work unless it is a traditional day at your work. 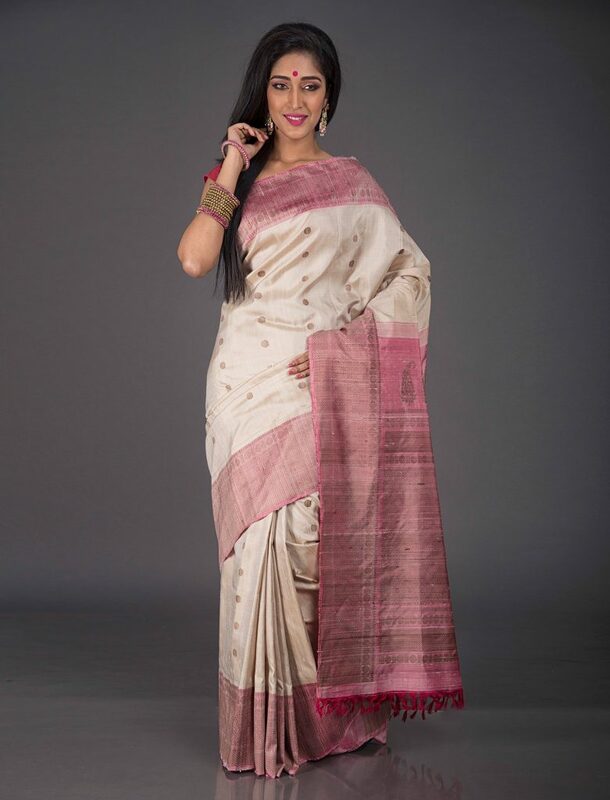 But you can definitely wear the opulent raw silk saree that looks elegant, fashionable and perfect for those who are always on the run. Silk saree don’t budge and drape perfectly to your body. You can reserve these for the cold winters and pick from jamdani silk, tussar silk, silk bandhani saree and you are set to bring high-end corporate look. After cotton, if you are looking for crisp and powerful looking saree then you must pick linen saree. They are super comfortable and come in fabulous shades, patterns which effortlessly give a corporate look. Refreshing, breathable and stunning is what jute sarees offer. Jute sarees are easily blended with cotton and silk fabric and are known for their durability. They have a glossy finish that will elevate your work look elegantly. Pair the saree with boat neck blouse, top knot bun, high heels and you are set to rock your day. Fashion yourself in subtle Ikkat print saree that look splendid and delicate. Ikat prints highlight the entire saree and we bet you would be complimented for your smart sartorial choices. These were our current favorite saree and we would love to hear in the comments which types of saree do you wear at your work. And if you haven’t started wearing we bet this post would motivate you to wear saree to your workplace.